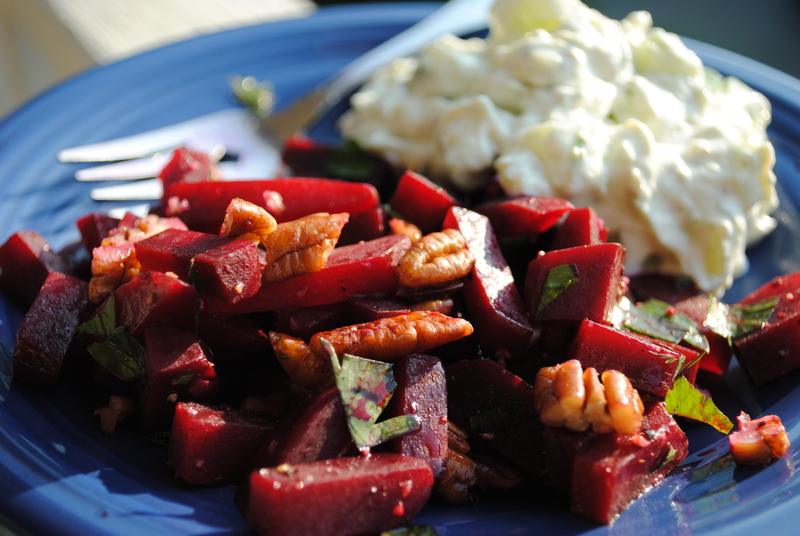 beet salad and cucumber raita | gluten-free glory! I love beets. With a little balsalmic, olive oil, flat leaf parsley, and some good old salt and pepper, it’s easy to make a delicious salad – especially nice on a hot day! It was in the mid-90s earlier this week, so a beet salad and some cool raita were just what I needed after a long day at work. Combine ingredients in a medium bowl. Toss. Enjoy! 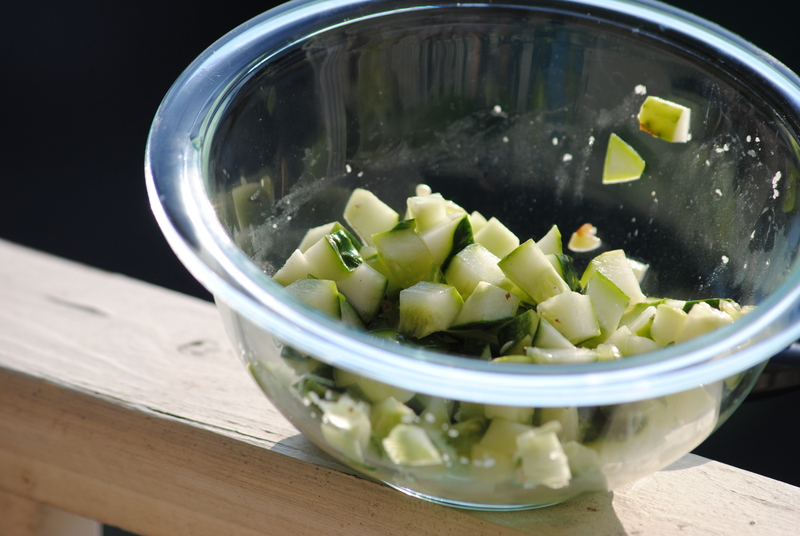 put the diced cucumbers in a small bowl, sprinkle with about half a tsp of salt, and let sit for 10 minutes. combine the remaining ingredients (below) and stir. add the cucumbers and stir again. add salt and fresh ground pepper to taste. 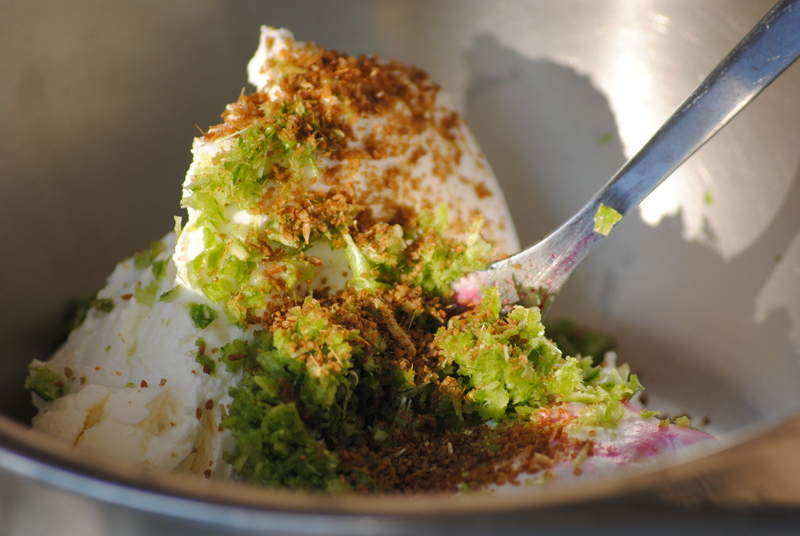 *This was more raita than I needed, so the next day I added about 1 tbsp fresh lemon juice and 2-3 tbsp olive oil and turned it into a dressing for my salad. It was delicious!